José Luque Manzano bought this land in Marbella and built the Group’s first hotel, considered a great risk at the time. This generous and imaginative businessman was born in Estepa, close to Seville, and owned a chocolate factory and oil mill in the town. His relatives and friends believed he had abandoned a good opportunity in a prosperous town for a frivolous adventure with relative little hope of success. However, as time passed, this innovative hotelier proved them wrong. On 15 July 1957, José Luque Manzano invited around 500 guests to a black tie dinner to open the hotel’s first building, which comprised of 33 rooms and the first lift in the Costa del Sol. The Group’s founder died in 1984, which was when the second generation of the family assumed responsibility for the hotel, expanding and renovating it in the process. 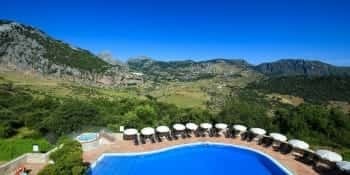 Today, the company, which is still family run, owns seven tourist establishments which maintain the same style as the hotel first opened in Marbella in 1957 next to El Fuerte de San Luís. This was when the Group took the step to open a second hotel, in the nearby province of Cádiz. Hotel Fuerte Conil was opened on 12 February 1999. Five years later, construction on the Fuerte Costa Luz in Conil de la Frontera was completed. 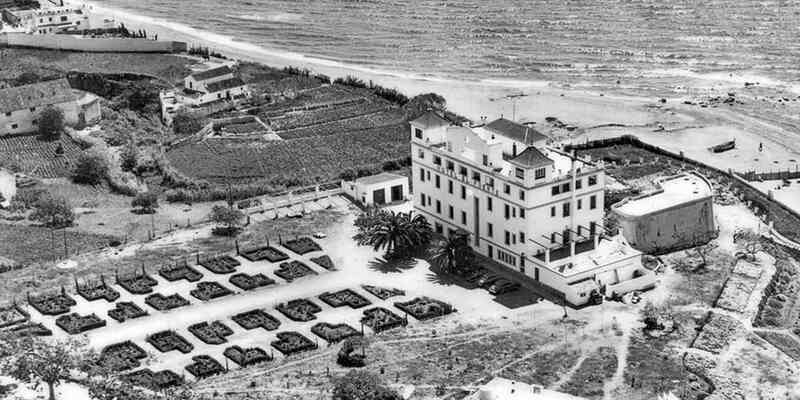 Some years later, these two facilities were consolidated into one complex, Hotel Fuerte Conil-Costa Luz. Fuerte Hoteles then decided to commit itself once again to Marbella, opening our second hotel in the city. Work began on Hotel Fuerte Miramar (now Amàre Marbella Beach Hotel), which opened to the public in 2001. 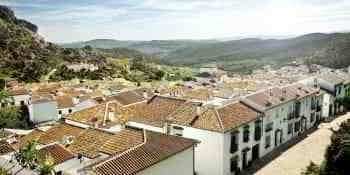 Later, in the Sierra de Grazalema the smallest member of the family, Hotel Fuerte Grazalema, was constructed; the hotel, at the heart of the Sierra de Grazalema Natural Park, was opened in February 2002. 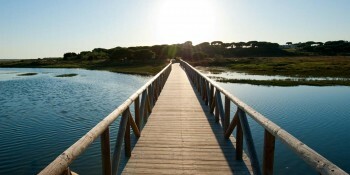 It wasn’t until 2005 that Hotel Fuerte El Rompido, was opened, in close proximity to the Piedras River and the village of El Rompido in Cartaya (Huelva province). Its location close to some of the best golf courses in the region opened the way to a new concept in hospitality, and was added to the list of the Group’s sustainable hotels. Three years later, in 2008, construction on the Apartments Fuerte Calaceite (now Olée Nerja Holiday Rentals) was completed. This apartment complex is located in a privileged environment between Nerja and Torrox, renowned for having the best climate in Europe. 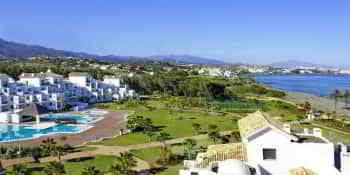 This demonstrates the Group’s commitment to the East Coast of Malaga, with the apartments located on the beach front with unique views over the Mediterranean. 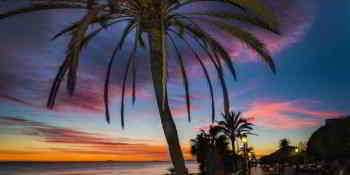 Hotel Fuerte Estepona, located in Estepona just metres from the beach and at the heart of the Costa del Sol was opened in 2010. The opening of this complex, which also incorporated the Apartments Fuerte Estepona, was the latest tourist established opened in Andalucia to date. However, Fuerte Hoteles crossed the Atlantic in 2009, when construction began on Hotel Secrets Montego Bay in Jamaica. This establishment forms part of the Group’s international drive; we are co-promoters of this project with other investors and are responsible for project management of this luxury 700-room resort in Montego Bay, Jamaica. Breathless Montego Bay Spa & Resort, a 5 star hotel that operates under an all-inclusive system, with 150 rooms, 5 restaurants and 3 bars, opened in September 2017. The hotel is located in Montego Bay (Jamaica) and, together with the two existing Secrets hotels forms part of a holiday resort with 3 hotels. Fuerte Foundation, which takes its name from our first hotel, El Fuerte, was created in 2005 as a natural offshoot to the Group values that have helped us to develop for more than 50 years. Fuerte Foundation serves to promote sustainable development and cultural dissemination, in addition to offering opportunities to those who find themselves in a situation of risk or exclusion. Furthermore, following 15 years experience in undertaking renovation projects and new interior design projects for the Group itself, We was created in 2003, dedicated to managing projects for those seeking a comprehensive, quality service. We comprises a group of companies dedicated to offering solutions related to management of construction, design, furniture and maintenance.